Who Else Is Excited For The 'Arrival'? Sci-fi fans, it’s time to get excited, because we’re less than a month out from Denis Villeneuve’s alien contact film Arrival. Now I don’t know about you, but I’ve been excited for this movie ever since I heard about it! 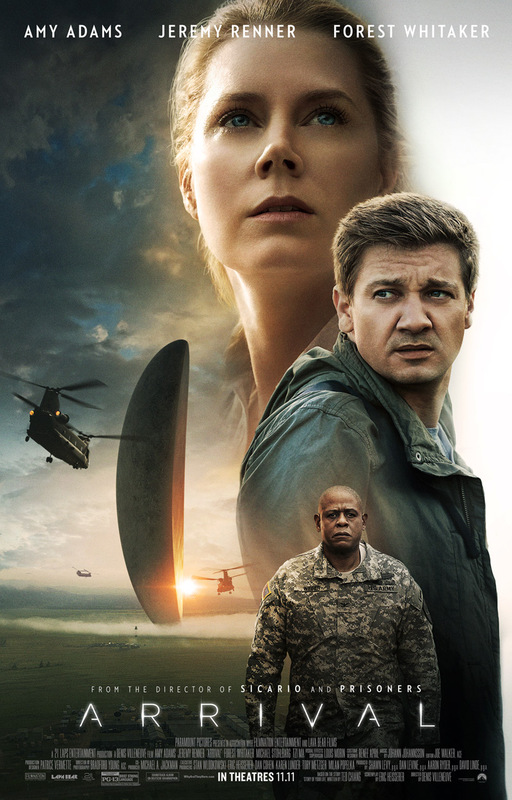 When mysterious spacecrafts touch down across the globe, an elite team – lead by expert linguist Louise Banks (Amy Adams) – are brought together to investigate. As mankind teeters on the verge of global war, Banks and the team race against time for answers – and to find them, she will take a chance that could threaten her life, and quite possibly humanity. Looks pretty sweet, right? The movie has a great cast that includes Amy Adams, Jeremy Renner and Forrest Whitaker, and initial reviews have been overwhelmingly good, with a 100% rating on Rotten Tomatoes based on 46 reviews. Catch Arrival when it hits theaters on November 11th.